Barge at St. Charles – Project 365 Day 74, a photo by Ladewig on Flickr. 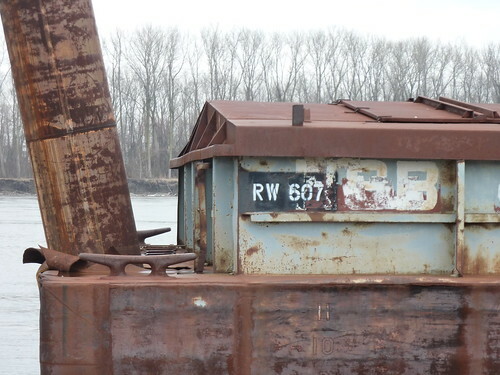 If you park near the Lewis and Clark Boat House and Nature Center in St. Charles, there is an observation platform in the river, and next to it is a barge, RW 607. Not sure why it is there.